The world of cocktails is finally within everybody’s reach, but it’s important to know where to go for a drink when in a foreign city. Especially if the places where one can find an unforgettable cocktail are secret! 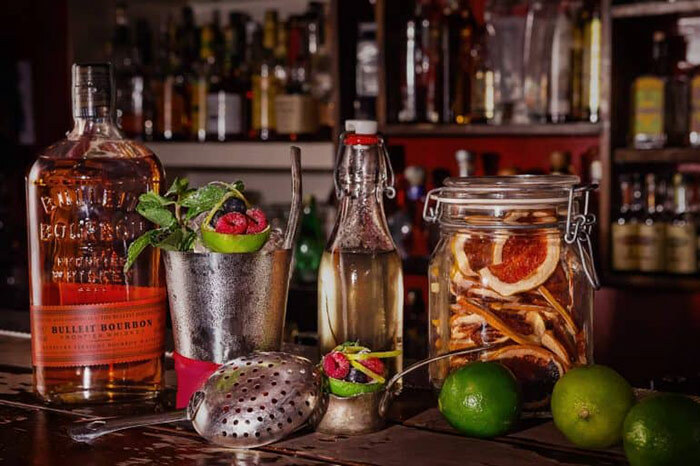 Here are three unmissable speakeasies in the Monti neighbourhood in Rome. Where to eat best Maritozzi in Roma? Pasticceria Regoli! The time has arrived to thank the many books, magazines and TV programmes that talk about cooking, the single topic and almost manic conversations of aspiring chefs, the incomprehensible menus, and the fearless and perhaps too minimal dishes. Why? Because all of this has increased the number of cookery lovers, and also for fans of mixing. Finally, after years of club shakes that were only good for getting drunk, and only very few legendary spots for mixology enthusiasts, the world of cocktails and the places that host them are now open to everyone. If you wish to have something more interesting, exciting and high quality than a simple, nice drink, here are three exceptional speakeasies in the Monti neighbourhood and surroundings. What is a speakeasy? This term was born during Prohibition in the United States, when drinking alcohol was an illegal activity. Here musicians, immigrants, criminals, drunkards, writers and charlatans would gather. In these informal and secret environments, that people could enter thanks to a password, all of these people would meet to listen to jazz and get inebriated. All of this was done discreetly, in order to maintain secrecy and not get caught. Now these places have become popular again, and in big cities many can be found, in small and intimate spaces and they are often low key and go unnoticed by distracted travellers. Sometimes they can even be found at the end of narrow staircases that go underground. The quality of the drinks is far higher than it was in the past, when mixing was also used to disguise the scarce quality of the products. Let’s look at three unmissable speakeasies in the Monti neighbourhood. The most famous of all these “alchemists” is probably Jerry Thomas, a.k.a. The Professor, whose name the historical Speakeasy in Vicolo Cellini 30 tributes. The inside remains true to the spirit of the time, from the leather seating, to the wall paper, to the low lights and the mellow live music. Remember to read the rules on their official site, and discover the password on their homepage, to discover the taste of an unforgettable Mint Julep. Moving away from the classics, you’ll be surprised by the maniacal research of balance between tastes of the drinks invented by The Jerry Thomas Speakeasy’s barmen. An example would be the Mercante in Fiera, with a base of chestnut rum, cinnamon and cocoa syrup, tangerine and lemon juice, pepper bitters and albumin. And don’t expect neon signs to show you the entrance: on the door of the speakeasy you’ll only read the small inscription “Prof. Jerry Thomas”. Initially a hiding place for the Carbonari, then a place for gambling and shady dealings, it is now a speakeasy that was founded by the young Ferracani brothers, who have kept the atmosphere of complicity and secrecy in one of the best cocktail bars in Rome. The Race Club has a vintage taste to it, adorned with wrenches, hubcaps hung on the walls and other objects that recall a garage. The perfect place to enjoy cocktails inspired by the roaring twenties. Like in any respectable speakeasy, the choice of the products is careful and calibrated in order to add a personal touch to the homemade ingredients. You can find The Race Club in Via Labicana 52, a stone’s throw away from the Colosseum. Just like at the beginning of the past century, speakeasies would hide their entrances behind small food shops or barber shops. This is the case of The Barber Shop, where members only can have a drink that will make your head spin. 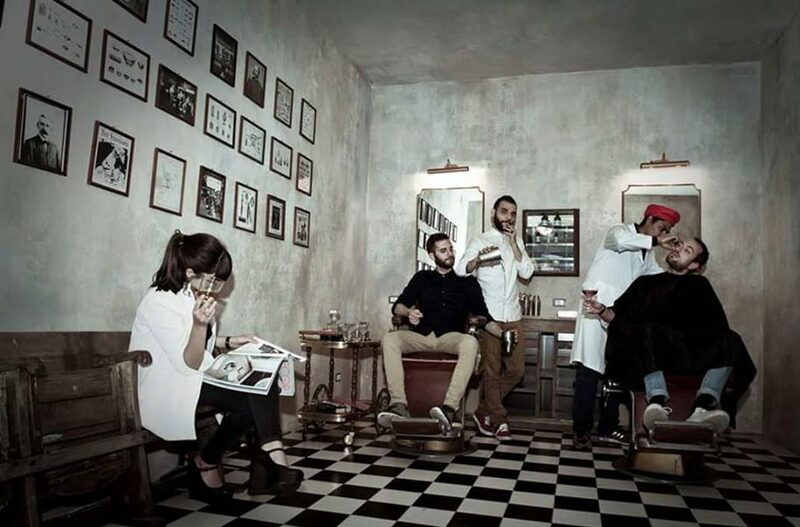 The drinks are divided into 5 flavours, each with the name of a different haircut: quick haircuts (for cocktails that have been aged in a bottle and then cooled), fizzy haircuts (for the fizz cocktails), fashionable haircuts, fresh cuts and naturally classic haircuts. Don’t miss the Collina del Fomento, a delicious homage to the roman music scene, made with liquorice root, vodka, maple syrup, lemon juice and mastiff, a greek liquor extracted from mastic resin. And the counter is breathtaking! The Barber Shop is in Via Iside 2/4/6, not far from the Pasticceria Regoli, where you can always have a late night maritozzo. Don’t miss the best roman cocktails! 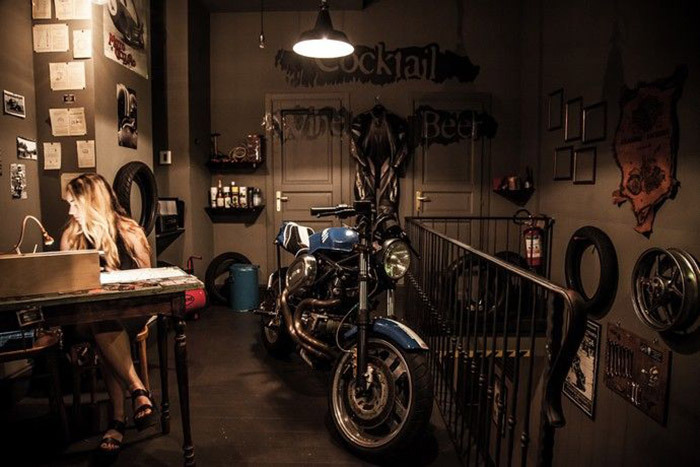 To try these 3 speakeasies in the Monti neighbourhood, book the holiday home San Martino View ai Monti.